Late Nights In Squat Bars are Shanti Suki and Dafne Della Dafne. 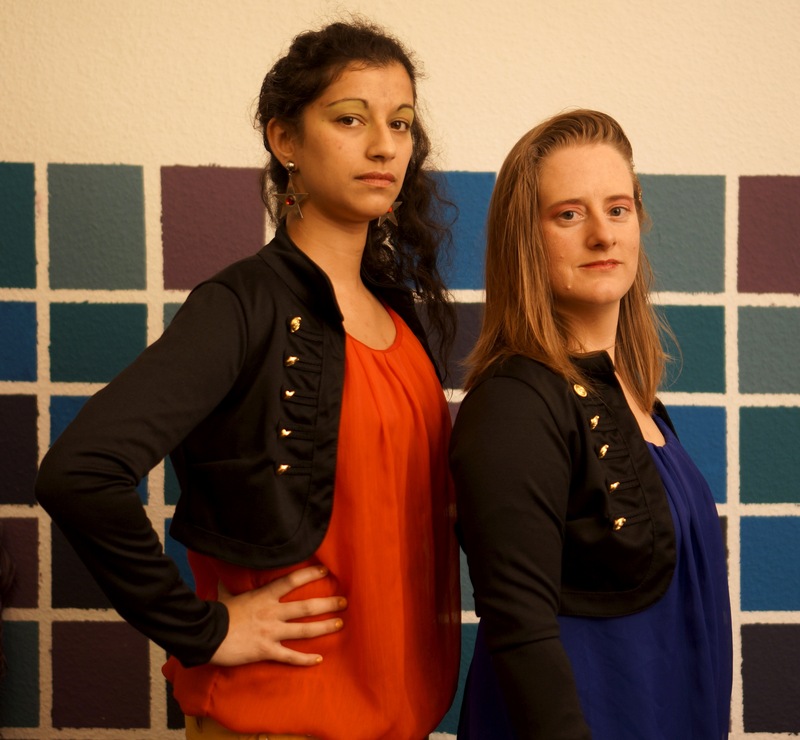 We started our Berlin-based indytronic performance duo in 2008 and have played throughout Germany, as well as in Belgium, Czech Republic and Austria. We were the artistic directors of the Restriction Restraint Rebirth festival in Berlin 2013, the NeuSes sound installation at 48 Stunden Neukölln in 2014, the Seen Thru Flughafenkiez music video event in 2014, the Authorized Access festival in 2014 in Berlin and the VoicedOver sound installation at 48 Stunden Neukölln 2015. We have curated further sound and visual installations at 48 Stunden Neukölln: For Sale in 2016 and Hidden Stories Neukölln in 2017. In 2018 we presented the month-long sound installation Hearing Now, made possible with a grant from the Berlin Senate Department for Culture and Europe. Watch our documentary about this amazing feminist exhibition and events series here! To date we have produced two albums, “Late Nights In Squat Bars” in 2010 and our second album “Clamp Down” was released in 2015. Listen to Clamp Down and buy now for just €5! You can also listen to our music on Soundcloud or Spotify. LNISB was also lucky enough to have a remix album made by Boxroom Rebel! Check out the fresh beats of the LNISB remixes by Boxroom Rebel! And then there are of course all our music videos! From The Other Woman to Whose Gym Towel, let us entertain you with our bling-noir-geek-glamour artistry! Many thanks to all the wonderful directors we have worked with. “Hearing Now” design by Zara Morris, copyright, 2018. Photo (bottom of page) by Neal James, copyright 2013. Photo (header) by M. Morissette, copyright 2017. All other photos also copyright.